Writing short stories is not easy. As much as I like, let's say, Kelley Armstrong, her anthologies Men of the Otherworld and Tales of the Otherworld are not really collections of short stories. They are collections of scenes in the lives of her characters and nothing more. Lanagan, on the other hand, is a great short story writer. Her stories remind me a lot of the works of one of my favorite writers (and IMO the greatest writer of short stories) - Guy de Maupassant, not thematically, but in the quality. Both excel at creating very short (not more than 10-15 pages) and pointed stories, all with rich backgrounds, deep characterization and climaxes that leave you pondering on the complexities of human nature. 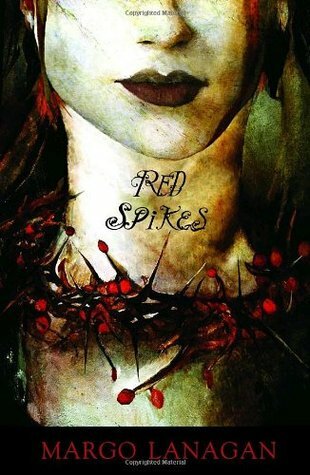 Red Spikes consists of 10 stories of life, death, love, violence, and courage, each is laced with supernatural but ultimately illuminating humanity. My favorite stories in the collection are "Monkey's Paternoster," in which female monkeys in a harem-like group endure the rivalries of alpha males, and "Under Hell, Over Heaven" where characters in purgatory witness a soul's descent into hell. Just like Lanagan's Printz Honor winning novel Tender Morsels, Red Spikes will not appeal to all readers. The stories have an air of weirdness about them, the language is complex and a lot of patience is required to acclimate to each story's fresh setup. However existing fans of the writer and those who, like me, have a taste for strange and bizarre are sure to enjoy this book. I will definitely check out Margo Lanagan's other short story collections - Black Juice and White Time. Sign into Goodreads to see if any of your friends have read Red Spikes. 29.94% "An example of what a good short story us." Good review T! I always like reading your reviews - they almost make me want to read the book in question, but alas, no cozy cottages in your reading worlds...lol! That is seriously one of the creepiest covers I've ever seen. LOL. I understand. I wouldn't recommend it to you for sure. In fact, I don't know who I would recommend it to. Well, it's a testament to your review skills that it does tempt!